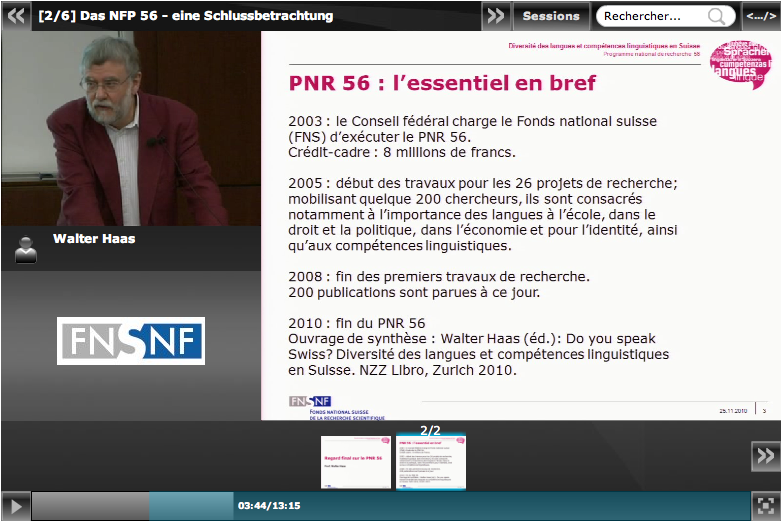 The national research program “Diversité des langues et compétences linguistiques en Suisse/Sprachenvielfalt und Sprachkompetenz in der Schweiz” (PNR/NFP 56) presented this morning its final results. Started in 2005, this research program has studied and developed scientific tools to maintain, promote and benefit from the language diversity in Switzerland. The publication of the book “Do you speak swiss? Diversité des langues et compétences linguistiques en Suisse/Do you speak swiss? Sprachenvielfalt und Sprachkompetenz in der Schweiz” (Walter Haas Ed., NZZ Libro 2010, a PDF version is available on demand to pri@snf.ch) is an opportunity to present the results of 26 research projects of PNR/NFP 56. You can watch the webcast here and find more information about the press conference on the FNS/SNF webiste.